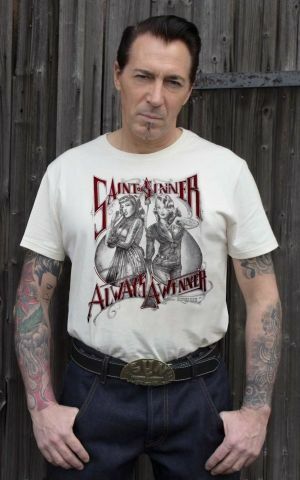 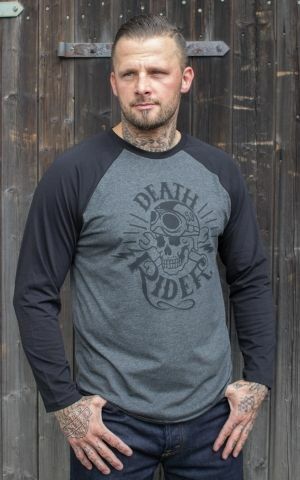 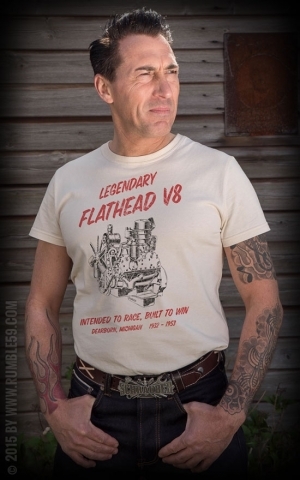 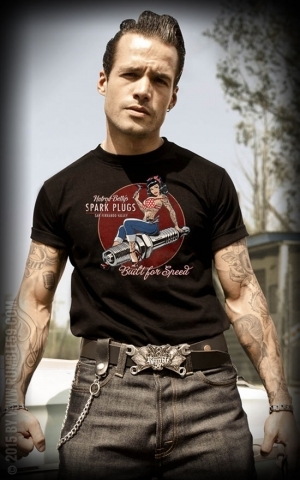 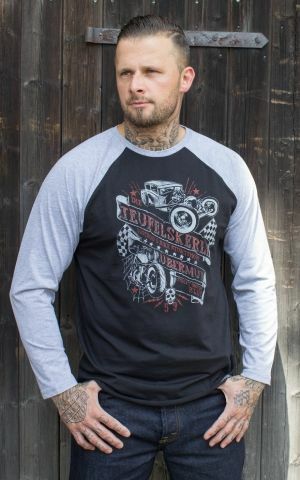 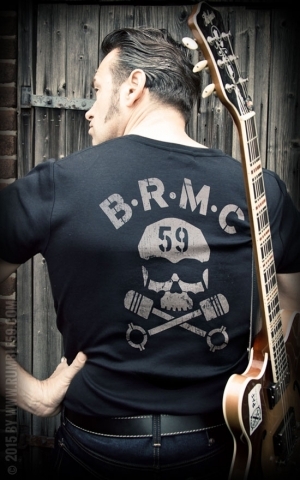 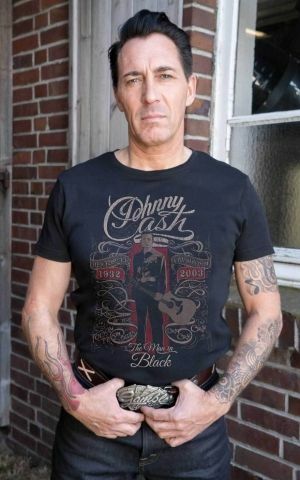 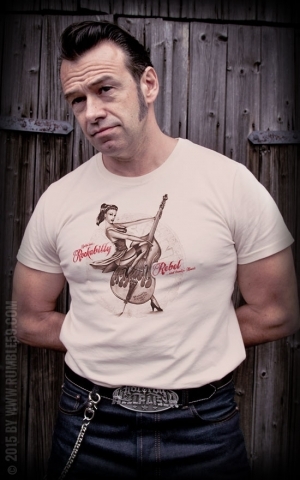 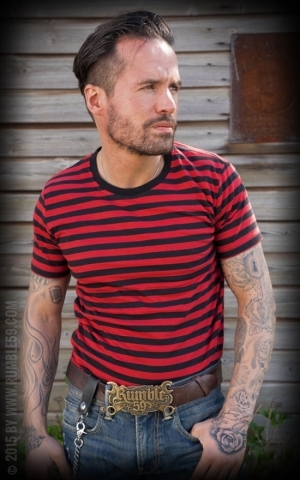 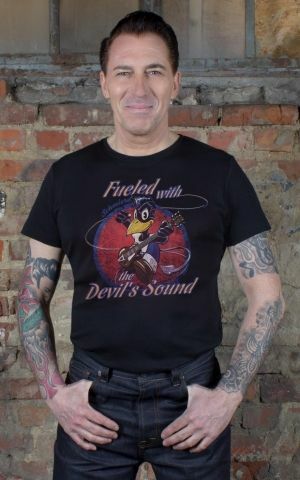 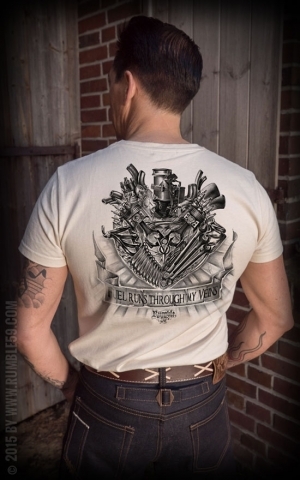 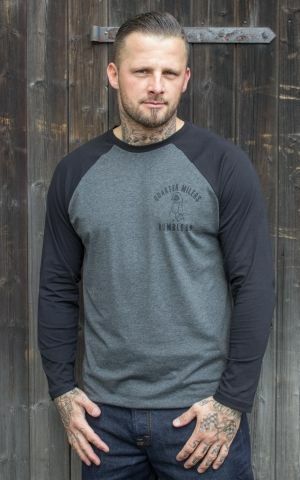 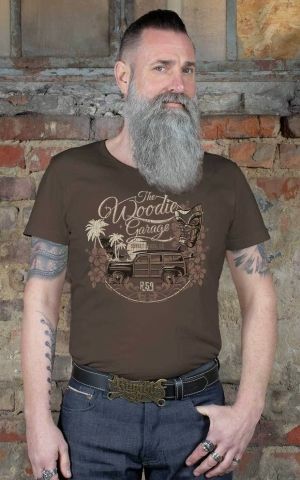 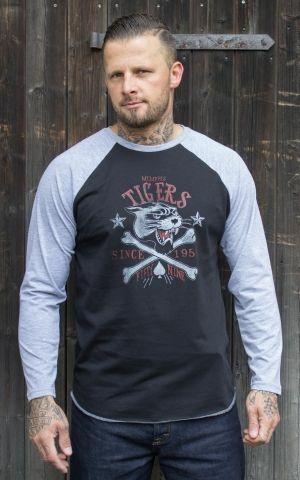 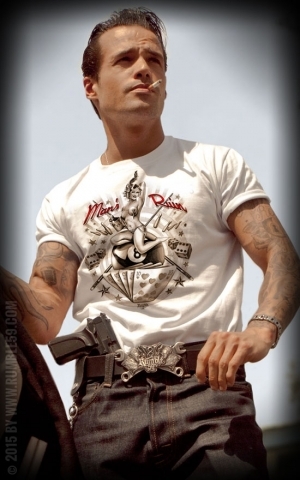 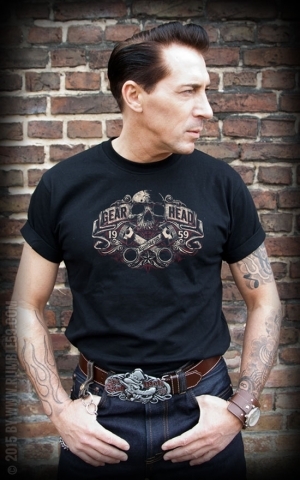 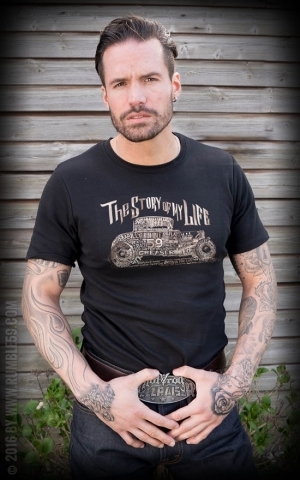 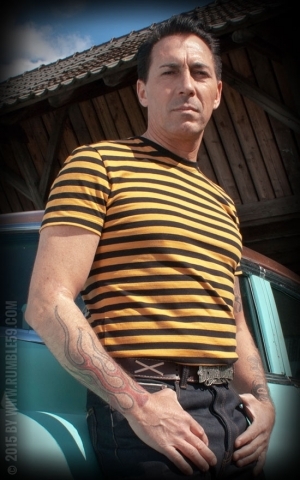 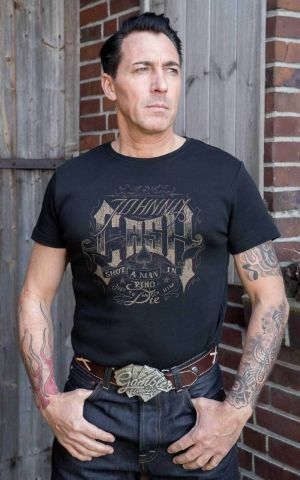 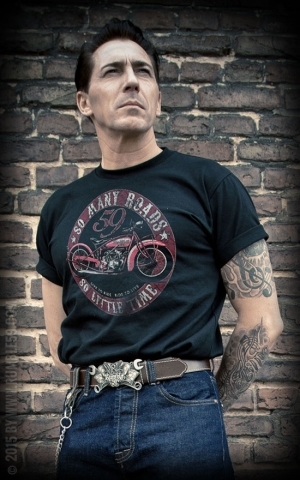 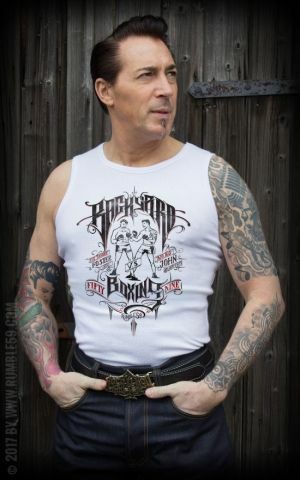 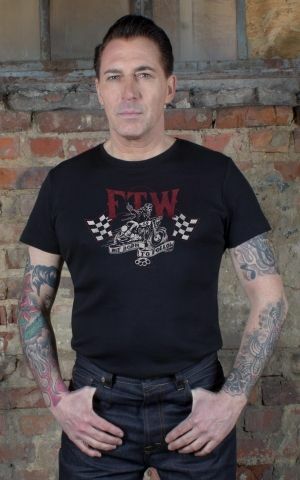 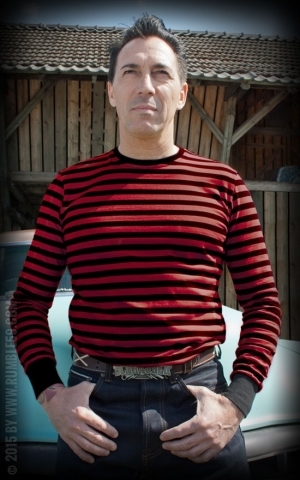 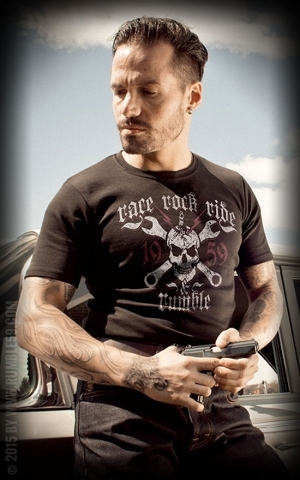 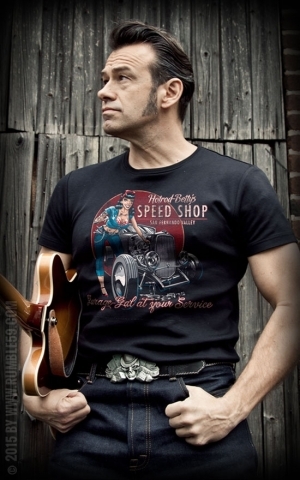 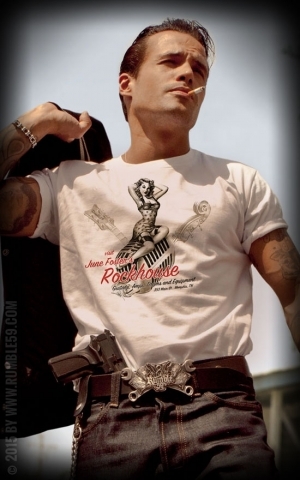 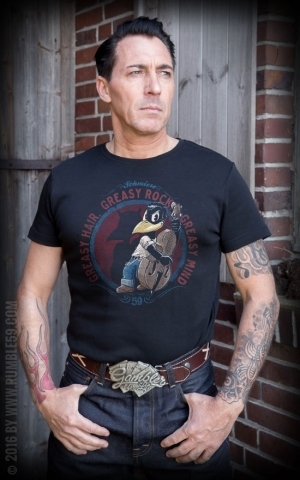 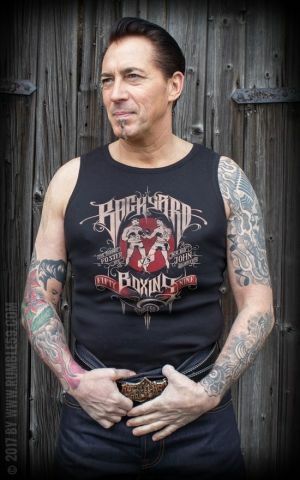 What else brings a ★ Rockabilly Outfit ★ to perfection than a t-shirt of Rumble59? 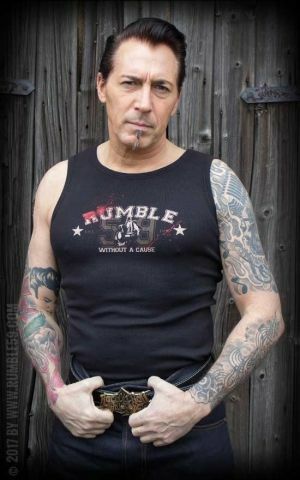 Rumble59 has always been very thoroughly when it came to it's design-matters - especially their "face to the customer": The t-shirt prints! 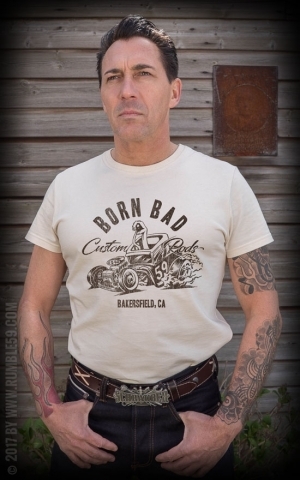 Wrapping up the spirit of Rumble59 in elaborated handmade illustrations is the task for talented artists who fulfill all of your desires with their designs: We've got designs with ★ Hotrods, Pin-Ups, Skulls, Tattoos and icons like Elvis, Johhny Cash or Marilyn ★ and much more!